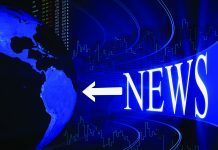 A metamorphosis of sorts may be underway in La Mesa, led in particular by the area locally referred to as the Village. After months of the Streetscape Project impacting businesses and residents during major construction along La Mesa Boulevard with roadways and sidewalks dug up, road closures, and disruptions, several changes are visible. In the aftermath of Streetscape, a fair number of businesses closed, are closing, or are relocating, with at least one impacted business owner directly attributing the closure of his business to Streetscape. What a Dish, one of the shops that is closing, has been owned and operated by Frank Dittmer for roughly three years. According to Dittmer, “Over half of my time in business was destroyed by La Mesa’s street improvement project.” Of Streetscape, Colin Parent of the La Mesa Conversations group said there is “certainly a perception it hurt businesses,” observing it took too long, “turned off incumbent businesses,” and makes it harder for future projects. But whatever the impact of Streetscape, there is a difference in this area of La Mesa. Some call it the Village and others refer to an area as the downtown. Parent observed that the terms “village” and “downtown” are used interchangeably, even if they may be defined differently. 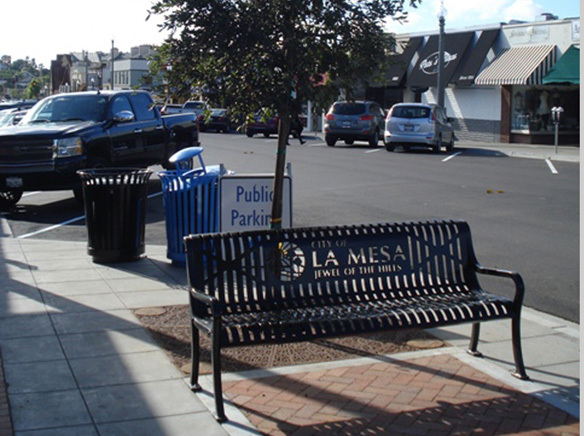 Some define the area of interest as the section La Mesa Boulevard directly impacted by the Streetscape Project, understandable seeing that it is the area the city chose to improve. Others, like Parent, may define it as most of the stretch of Spring Street between I-8 and Route 94, and some blocks on either side, plus “maybe a little more than that,” as Parent said. According to Parent, “it’s not where a government says neighborhoods begin or end, but rather where people living and working in them say they begin and end.” But however the area is defined, Parent commented that retail is important. And in this area, the metamorphosis is most apparent. Parent offered, “There is some change afoot.” Additionally, regarding a “vision” for the future of the Village, Parent said that many people are indeed asking about it. With what he described as lots of dissatisfaction and concerns for under performing businesses, there have been issues raised about office storefront service businesses that do not serve the people who are walking by seeking meals or nightlife entertainment. 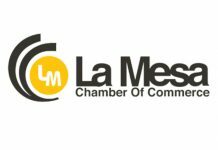 The interest level led to the La Mesa Conversations Group hosting a community discussion about the future of downtown La Mesa. During that event, serious concern raised about what some see as a change of character for the downtown/Village area away from arts, crafts, and antiques. On the other side, Parent observed investment by the Cohn’s Restaurant Group is evidence of new and interesting businesses coming in, because they think it is a great place to invest. In addition to culinary businesses, he commented anecdotally about friends from North Park, South Park, Golden Hills, Kensington, Mission Hills, University Heights, and Normal Heights, who 10 years ago used say “uggg” about La Mesa, are all of sudden saying, “Guess where I live now? I just bought a house close to the Village.” This is part of the new chapter for La Mesa, as young families move in, valuing the “small town feel, accessibility, and schools,” according to Henderson. Henderson also spoke about gentrification in reference to this new chapter, “It’s not always good.” It can push out people groups and demographics, sometimes forcefully, because of profitability. On the issue of gentrification, Parent observed it means so many different things to different people. For some it means reinvestment and new capital. For others, it can mean displacement, making it unaffordable for current residents. Continuing, offered that people are returning to La Mesa, which is a “good thing.” He is not sure that a lot of displacement has been seen yet. He also advocates, “businesses partnering with new housing opportunities, so there will be an increase in their customers.” This led to his reflecting upon the venture called the Park Station, which has been the subject of considerable resistance by local residents. Pointing out the location is near transit and the downtown, Parent discussed what he referred to as a confluence of issues: community opposition and too aggressive concept by the developer. The opposition centers primarily on anxiety about the high-rise concept, which was not received favorably in La Mesa. 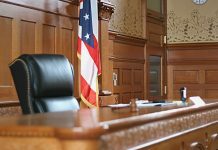 This created what Parent called the, “perfect storm between supporters and detractors” that resulted in the latest proposal not moving forward. the future and it is time to be happy. I’ve read this post and if I may just I wish to counsel you some fascinating things or advice.